Are you looking to attend an expo on childcare in 2016? If you have answered yes, come to the Childcare Expo as we have put together a highly informative offering as part of our nursery events calendar. Our seminars will provide you with useful advice and guidance to help you broaden your overall knowledge. Our Childcare Expo is a specialist event that takes place up and down the country showcasing superb exhibitions that will both inform and educate. We provide a calendar of nursery events that aim to provide a unique platform for those working in childcare to share their wealth of knowledge on what is arguable a diverse subject. What does our nursery events calendar offer? The early years of any child’s development are crucial, and every child is different. Simply providing the same old experiences can be detrimental in the long run. At the Childcare Expo, we provide a nursery events calendar that is brimming with new and innovative ways to inspire the children in your care to reach new heights and achieve greatness. Our exhibitions will equip you with the resources and knowledge necessary to attain better results and with frequent updates you will always remain informed. Who will benefit from our calendar of nursery events? 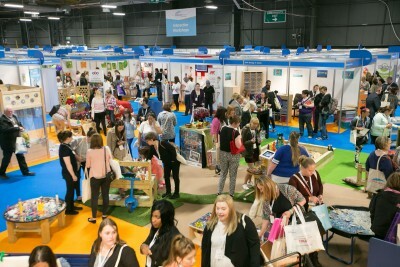 We host exhibitions that are targeted towards anyone working within the childcare sector. We cater for nursery chain executives, nursery owners, managers, child minders, and early years professionals among others. We guarantee that you will leave with new and fun ways to make your business reach its full potential while providing the best care around. What’s on at our exhibitions taking place nationwide? The Childcare Expo are the leading provider of comprehensive nursery events all across the UK. Our events are carefully organised and coordinated by Broadway Events to ensure a smooth running. We are fully sponsored by Morton Michel so when you attend one of our exhibitions you know that you are receiving professional advice and guidance. We have events taking place triannually across London, Manchester and Coventry. So there is no reason to miss out on our ideas and resources designed to coax the most out of your business. Contact us today on 01425 838393 or drop us an e-mail at [email protected] to find out more about our nursery events calendar. Alternatively, if you are interested in exhibiting or sponsorship then fill out our online form today.